Brands don’t want fake Twitter followers; they want real, authentic, targeted followers with a genuine interest who can potentially be converted to leads. Purchasing Twitter followers is possible, but it’s an exercise in futility. After all, fake users are just a number — they aren’t going to engage with your brand or become paying customers. Naturally, companies are always on the lookout for the latest tricks and tactics to get more authentic followers – ideally, followers who are part of your target audience. Having strategically placed share buttons and prominent follow buttons on your website, curating meaningful content, and creating posts with rich imagery (of the right size for each network) are just a few of the tried-and-true ways to get more Twitter followers, but what if those tried-and-true tactics aren’t enough? What if you need a leg up on boosting your social media presence to establish your brand? 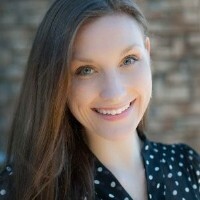 Tabitha Jean Naylor is the owner of TabithaNaylor.com and a certified Inbound Marketing Consultant with over 15 years of sales and marketing experience. Her intimate knowledge of how sales and marketing go hand-in-hand has resulted in a variety of successful campaigns for both start-ups and NASDAQ-traded companies. “Allowed users to personalize their coke bottles with names and titles. The campaign worked because Coke understood how to use a simple, but memorable hashtag married to a marketing method that gave its audience the power to personalize their Cokes and turn them from a product into something they were willing to share across not just Twitter, but other social media platforms as well. The takeaway? Find ways to personalize your products and services, so that they’re not just generic items you’re selling to your target audience. “Directly engage with their customers or potential customers, as well as increase their audience reach. However, it’s important to remember that having fewer, more readily engaging followers is better than having lots of false or paid-for followers that are largely inactive, as this does little to increase the effectiveness of your posts regarding marketing ability. “One of the best ways to increase your followers is to provide useful information that people who are interested in your business or sector may find useful in their own capacity. Whether that’s information regarding trends or changes in the industry, news, or specials that your company or business may be offering, once they realize that your information is valuable, they’re likely to be more engaging and spread the word naturally. Organic reach is a lot more effective, as these people will actually be interested in what you have to say. “You’ll also want to stick to your niche. People are more likely to unfollow you or become disinterested if you move from one topic to another. Being known as a good source of information on a specific topic, subject, or industry is the best way to increase your follower list and maintain a healthy following while improving the amount of engagement you get from your followers. “Another good way to increase the amount of attention your Twitter page generates is to reach out to others in your field or sector and respond to their posts or ask them questions. When you actively engage with competitors or people who are related to your line of work, you increase the amount of awareness your Twitter feed has. And, if you manage to get a response, that page’s followers are likely to take interest in your page as well – if your information is useful and your page is relevant. 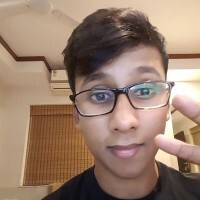 Adhip Ray is a blogger, freelance writer, and the founder of the blog WinSavvy. “None of my friends or family are on Twitter. Also, I didn’t want any followers I couldn’t convert into leads for my business. After all, what’s the use of that? “So, I started reading everything on the internet and trying out what works and what doesn’t myself. And I got some great results! 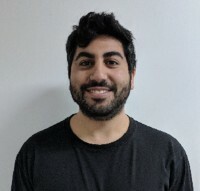 “There was a post on Medium describing how Karan J. Thakkar used code to follow a huge number of Twitter users at once. First, he would open the follower list of a Twitter influencer in his own niche and paste the code to follow them. “I tried the same thing, but it didn’t work because this technique needs to be done very slowly and carefully. If you blow your following to follower ratio out of proportion, it can be a turnoff for potential followers. So, you should avoid following more than 100 people at once. “Also, liking a ton of posts and commenting on them increases your post’s engagement, which can generate brand awareness and some new followers, as well. “Participating in Twitter chats is also a great way to get amazing branding and exposure for your company’s Twitter profile. Just search Google for the best Twitter chats, and you’ll quickly and easily discover Twitter chats in your niche. Brandon Chopp is the Digital Manager for iHeartRaves and INTO THE AM. 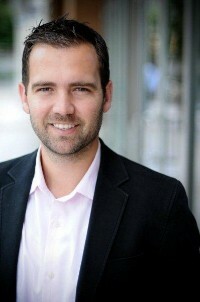 Cristian Rennella is the VP of Marketing & Co-Founder of oMelhorTrato.com. 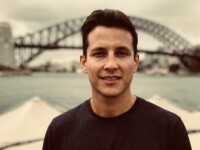 “After nine years of working hard to go from zero to more than 21.5 million clients, I can assure you that the best way to use social media, and in particular, to grow your Twitter followers, is to be a filter. “With the amount of information that is generated per day on the internet, it is NOT enough for a person to have a lifetime to read only what was generated that same day. “That is why your job is to become the filter of all the information in your industry or niche (be it in the area of food, clothing, software, customer service, etc.). “Over time, you will realize that your followers bring other followers and that your role is to be an expert to provide them with the MOST valuable, most recent, and most relevant information in the SHORTEST time possible. 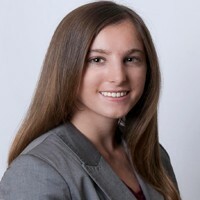 Lizz Venanzi is an experienced online marketing professional at Sparq Designs agency in Pittsburgh, PA. Her expertise lies in driving social media success, adapting to social media and search engine algorithm changes, and advertising online to prove a direct return on investment. Lizz’s passions lie in creative experiences like artistic expression or reading. 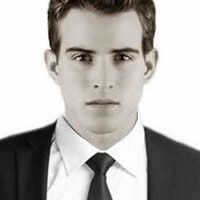 Curtis Boyd is CEO/Founder of Future Solutions Media, an Online Reputation Firm based out of Los Angeles, CA. 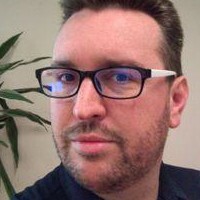 Peter is a Director at English Blinds, manufacturers and online retailers of luxury made to measure window blinds. “Make yourself a resource. Be seen as an expert in your field by creating regular insightful and educational content. Use your industry knowledge to offer handy tips, answer people’s questions and queries, and guide them to helpful resources – both your own and resources created by others – to establish yourself as a credible, go-to source of information. “Twitter is a social network, so get social. Engage with the community, build dialogue, and make connections. A good idea is to reply to big brands and other influencers’ tweets and get involved in their conversations. By making valuable and insightful contributions, you’ll gain followers from their followers. Jenny Hale is a military marketing strategist for military spouse and veteran entrepreneurs with military-themed businesses. 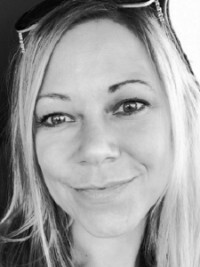 Jenny consults with organizations and entrepreneurs to help them market their business organically online through social media, content creation strategies, and public relations tactics. 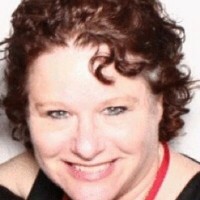 Stacy Caprio is the Founder of Accelerated Growth Marketing. 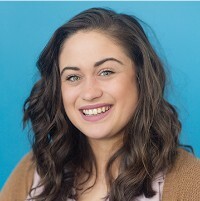 She loves helping companies grow through SEO and SEM, and she has worked with dozens of businesses to gain website visits, leads, purchases, and more at a profitable rate. “Partner with another company and give each other shout-outs in their own feeds, encouraging their own followers to follow the other company. This is a great way to appeal to the other company’s audience and share followers between the two. 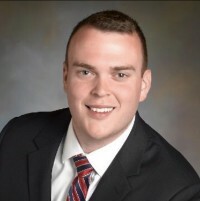 Evan Roberts is a real estate agent and house flipper with Dependable Homebuyers in Baltimore, MD. 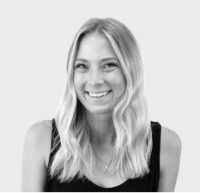 Zellie is a Social Media Manager at Power Digital Marketing who is passionate about growing brands’ audiences and engagement on social organically. Zellie loves the challenge of working with clients from a variety of industries, from consumer pet products to B2B security companies. Mallory Whitfield is the Director of Marketing at LookFar, a New Orleans-based software development studio that works with tech startups. 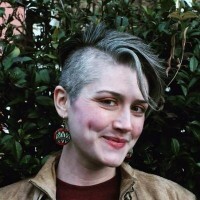 She is the producer and host of the Badass Creatives podcast, and she has spoken extensively on digital marketing topics at events including New Orleans Entrepreneur Week, VenturePOP Conference, and more. Meg Marrs is a veteran digital marketer and senior editor at K9 of Mine, a dog care website dedicated to helping owners better care for their furry four-legged companions. “Whenever you attend an industry event, make sure to tweet a ton with the event’s hashtags and @mention the event organizers. Tweet valuable information about your favorite speakers, the best swag you’ve received, your favorite food truck at the conference, etc. Robb Hecht is an Adjunct Professor of Marketing at Baruch College in New York City. 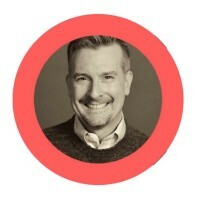 He coaches brand marketing executives, business students, and gig economy Instagram and Facebook startup side hustlers, establishing them as leaders to their customers through a mix of digital transformation marketing mindsets, experience designs, social media business marketing, content strategy, brand storytelling, influencer content creator engagement programs, executive branding, paid social campaigns, and blockchain branding efforts. 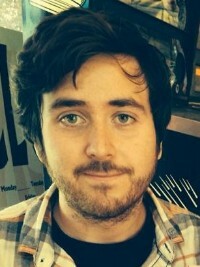 Jake is a professional journalist living in Los Angeles who has dabbled in many different arenas of writing. 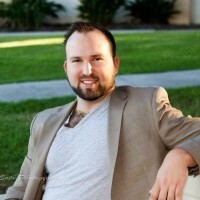 In addition to holding a position as the head of the creative department for TruckDrivingJobs.com, Jake also frequently submits articles to entertainment publications. “Hand out physical business cards that focus solely on information pertaining to your company’s social media presence. In other words, while some business cards may have a plethora of information including a list of phone numbers, services, fax numbers, and mailing addresses, consider supplementing a traditional business card with a social media-only card. Joe Goldstein is the operations manager and SEO lead for Contractor Calls in Pleasanton. He enjoys spending his free time on enriching hobbies that promote personal growth. “Steak-umm approaches Twitter a lot like Shia LaBeouf approaches celebrity: with a series of self-aware stunts that simultaneously parody and celebrate the platform. “First, Steak-umm created a social media campaign based on their experience of trying to get verified on Twitter, which was ultimately a self-fulfilling prophecy. After getting verified, they continued the campaign by making t-shirts to celebrate getting verified and sending them to celebrities who then shared their amusement and confusion, such as William Shatner. “This light-hearted and fun-loving approach cultivated a network of followers who appreciated the way that the brand openly mocked other overly-promotional accounts. Engaging heavily with other parody accounts, such as The Ham Man and their own Idiot Intern Steve, also helped Steak-umm grow their popularity. 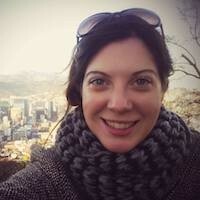 Louise Sattler is a Psychologist and Freelance Social Media Strategist dedicated to #SocialGood. Louise believes that the power of the tweet can be potent – so use it wisely! Use your own images, not stock images, when possible. Be CREATIVE. I often use several apps, including PhotoEffects, to have images swirl and spin! Canva also now has images that can be animated. Video is king for attention, and that leads to more followers. Mazdak Mohammadi is the owner of blueberrycloud. Mazdak has helped hundreds of local, small, and larger brands exploit the unique opportunities available to them within the arena of digital marketing. Notable brands include Glacier Media, Rogers Foods, Cushman & Wakefield, and the Canadian Coast Guard. “Business owners must first create a card to help promote the ‘Tag You’re It’ Twitter contest. The card should include a fun and engaging design. Your local print shop can help with the design. Additionally, the card should be branded with your business logo and explain the contest rules. Make sure to add a drawing date and reserve some white space where you can enter a unique code per card. The rules are as follows: Follow our Twitter account, and DM us your unique card code for a contest entry. After entering, you can choose to give your card to someone else. Once they follow the same steps, you get an additional entry. You can keep tagging people in your community, and each DM with your code will equal another entry for them as well as you. We will pick a winner on our drawing date. 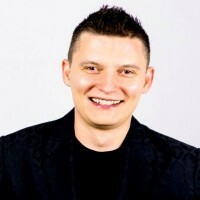 Andrei Vasilescu is a renowned Digital Marketing expert and CEO of a Money Saving platform in the name of DontPayFull. Andrei is providing cutting-edge digital marketing service to various international companies and different online coupons of “various brands for years. “You own an influence in your trade, and this effectively helps to make your audience and customers more interested in your business. Here are a few creative, actionable tips to get more real Twitter followers. Smart Twitter profile: Your professional Twitter profile must be smart and attractive to grab attention at first glimpse. Use a short, concise handle and a clear headshot, with or without your logo. Your cover photo must announce what business you are in. In a friendly tone, describe your passion, creativity, target or motto, and the service you provide in your Twitter bio. Use hashtags before the keywords in your bio, and provide your business link as well. “Follow big shots: If you want to make your presence known to your target audience, then you have to find and follow the big guns and the influencers in your industry or niche. Regularly comment on their posts and occasionally re-tweet their posts. Get involved in conversations on their tweets to help their followers get to know you. The more interesting and engaging comment you share, the more you will be known as a niche expert. “Follow even more: If you follow 100 people on Twitter, then at least 30 of them will follow you back as a sign of courtesy. Therefore, using Twitter’s own advanced search filters, find the people in your niche or trade and start following the relevant Twitter profiles at random. If you can follow 2,000 people, then you will soon get at least 600 followers for your Twitter profile. If your profile is particularly compelling, you may score a few more. “Tweet quality content: Your tweets must be interesting and informative for the serious Twitter users in your niche. Try to create quality posts that help people with relevant information or interesting facts. When you discover quality, relevant posts shared by others, recreate them with your own style from another perspective, or enrich them with newer information and tweet them from your Twitter profile. You will be followed more. “Tweet more often: Do not be absent in the Twitter-verse for more than two consecutive days. Instead, frequently tweet anything witty or humorous if not anything informative. The more you tweet, the more users will be exposed to your profile and your content. So, keep surfacing with relevant tweets. Want An Effortless Way to Get More Twitter Followers? Besides taking a page from the world’s most creative marketers, you can get more real and engaged Twitter followers by installing our Twitter follow button (and don’t forget about the Twitter share button). Beautiful, quick to install, and easy to configure — our Twitter follow button is designed to help you instantly grow your audience on Twitter. Take 5 minutes now to install it, then sit back, and watch your Twitter follower number grow! Are you looking to get more followers on other social media platforms?